PTC reported that Etisalat Digital, the newly established business unit of Etisalat, a telecommunications provider in the Middle East, North Africa, and Asia, has chosen ThingWorx® Internet of Things (IoT) platform to develop IoT solutions. These solutions are for use in the United Arab Emirates and across the Middle East region, to capitalise on the growing IoT opportunity there. The agreement enables PTC to extend ThingWorx into a new market and further position itself as a global leader of IoT enablement for the world’s providing companies. ThingWorx will serve as the platform on which Etisalat Digital will build its new solutions for markets that include smart industry, smart buildings and cities, and fleet management. PTC’s open cloud platform architecture will enable Etisalat Digital to build a comprehensive ecosystem of IoT partners and solutions. 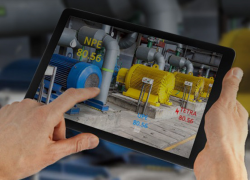 ThingWorx, the centerpiece of PTC’s Internet of Things technology portfolio, is comprised of a rapid application development platform, connectivity, machine learning capabilities, augmented reality, and integration with leading device clouds. 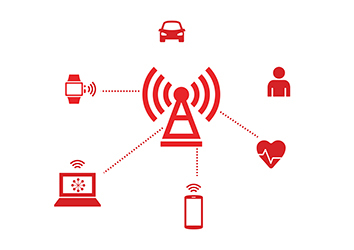 These capabilities combine to deliver a comprehensive IoT technology stack that enables companies to securely connect assets, quickly create applications, and innovate new ways to capture value.